Many teenagers have irregular or disrupted sleep patterns. Their brains are growing fast and they need quality sleep to restore the body, consolidate memory, and allow further brain development. Not getting enough sleep is often brushed off as just “typical adolescent behavior” but research indicates that lack of sleep is related to depression. 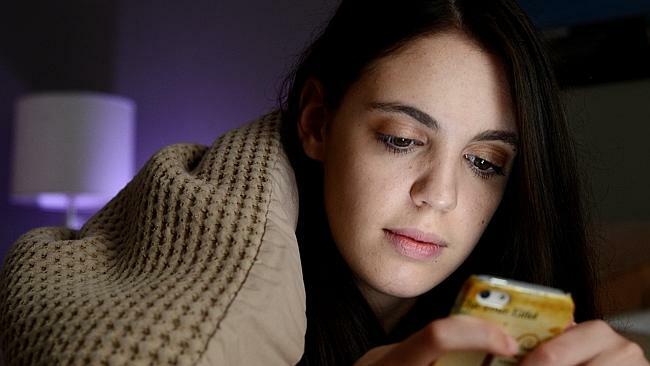 The University of Adelaide has more evidence to link insomnia in teens and the onset of mental health conditions. Insomnia was independently linked with depression, generalized anxiety disorder and panic disorder among teens. “People with insomnia find it difficult to fall asleep or stay asleep for as long as they need to. This is a widespread sleep disorder among the general public, and in most countries about 11% of teens aged 13-16 years, experience insomnia at some stage,” says Mr. Alvaro, a lead researcher on the study. “Having insomnia in addition to anxiety or depression can further intensify the problems being experienced with each individual disorder. It can lead to such problems as alcohol and drug misuse during adolescence,” he says. Insomnia signs and symptoms in teens are more common than you might think, but many parents don’t see the signs. The National Sleep Foundation polled teenagers on sleep and discovered that nearly half of those teens polled measured in ranges considered “depressive” and most reported that they experienced stress on a regular basis. Depression has been found to be a major factor in insomnia. Often neurotransmitter depletion is evident in teens who have depression, anxiety, and sleep issues. Through testing, one can find what neurotransmitters are out of balance and get relief through amino acid therapy. Sleep hygiene is also helpful. Even though your teen may love the idea of sleeping until noon on the weekends, in many cases it causes more disruption. In many cases creating a regular bedtime schedule and other routines can quickly relieve insomnia symptoms. When problems are more deeply rooted, you should see your doctor to discuss more aggressive therapies in concert with sleep hygiene. If left untreated teen insomnia can turn into chronic adult insomnia, depression, or other mental health disorders. Remember sleep in teens is as important as breathing! Make sure they get the quality sleep they need to help support their growing brains.